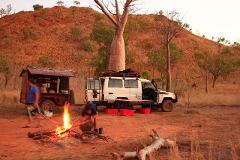 This tour covers some of the the most scenic and rugged country that Australia has to offer. 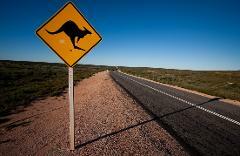 From the lush tropical jungles of North Queensland, through remote cattle grazing country to the wet Gulf and the rugged Kimberleys and Broome. 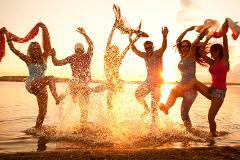 Experience 9 days of adventure, hiking, wildlife interaction, Australian culture, cool hostels, amazing scenery and a lot more! 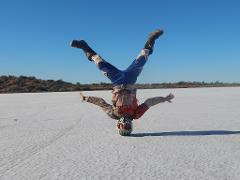 Visit the Monkey Mia Dolphins, Snorkel the Ningaloo Reef, Explore the depths of Karijini, and relax in Broome. 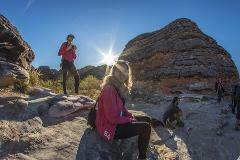 Experience 14 days of adventure, hiking, wildlife interaction, cool hostels, amazing scenery and a lot more with Aussie Wanderers 'West Coast Odyssey' Perth to Broome Adventure! 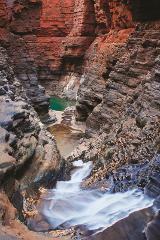 Head into the heart of the Pilbara region and explore the amazing gorges, waterfalls and tropical rock pools of Karijini National Park before travelling up to Broome! 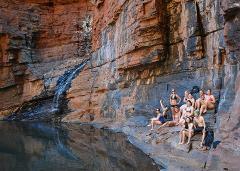 Spend 2 nights Karijini Eco Retreats famous Safari Tents, with beds!